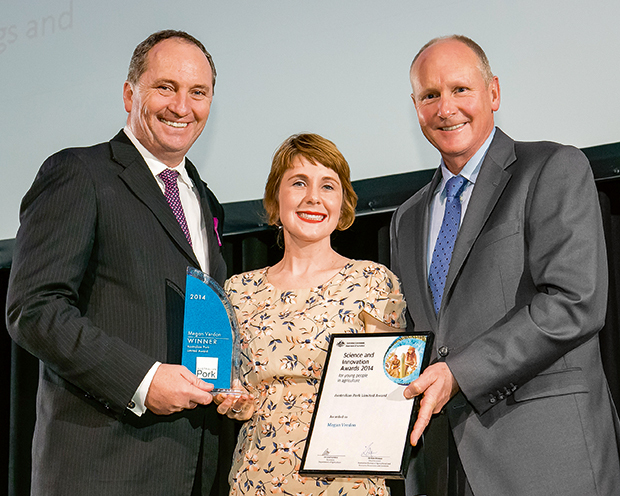 The Australian Government’s Department of Agriculture recently awarded MSLE’s Megan Verdon with the 2014 Science and Innovation Award in the pork category, which is supported by Australian Pork Limited. The awards recognise innovative scientific projects that will contribute to the ongoing success and sustainability of Australia’s agricultural industries. Megan, who has previously studied aggressive behaviour in the sow, will use her award to study the effects of socialisation of pre-weaning piglets has on aggression and welfare later in life.